The NBA has seen some pretty crazy things occur during its 71-year history. Highlights and great moments have come to represent the Association, serving as a testament to player’s greatness. As awesome as making the SportsCenter Top 10 is, what makes a player truly great is the records they hold. Some records signal greatness, like all-time leading scorers or shot blockers. Others signal a quick temper, like quickest ejection. Determining how unbreakable a record is speaks volumes to the player, or team, that achieved it. Over the course of his 19-year career, all with the Utah Jazz, John Stockton amassed 15,806 assists. The next closest is Jason Kidd with 12,091. That alone should speak volumes as to how difficult this record would be to break. But there’s more. Stockton achieved this feat by averaging double-digit assists for 10 straight seasons, which was due in some part to playing with the second leading all-time scorer in Karl Malone. Not only were the numbers there, but Stockton’s durability allowed him to rack up more and more assists. He played 16 full 82 game seasons, while only missing 22 games for his entire career. It would be pretty hard for any player to not only have the skills necessary to rack up the assists, but to be put in the perfect situation to do so over the entirety of their career. Stockton got both, along with a 99 durability rating, which is why his record will never be touched. 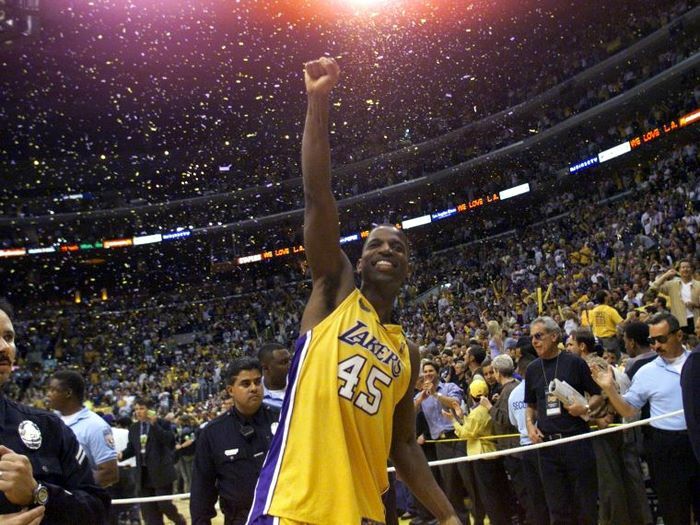 From November 19, 1986, to April 18, 2001, Lakers forward A.C. Green played in an NBA record 1,192 straight games. The main reason why this record will never be broken is not that a player can’t physically do it. Despite the immense luck one must have when it comes to injuries, players these days are bigger, faster, and stronger. They take better care of their bodies and are more aware of what they eat. So if one wanted to intentionally go after this record, a player’s physical ability to do such a thing would not be the reason to rule it out. Rather, the reason the record will never be broken is simply that of the way in which teams manage their players. Coaches are all about making sure their players are as fresh as possible for the playoffs, which means giving them a game off every once in a while, even if it means breaking a streak. With this philosophy currently in place, and the likelihood of change very slim, it would be nearly impossible for a player to not get at least one game off over the span of those games, and one game is all it takes to shatter the chance. On November 24, 1960, Wilt Chamberlain, then of the Philadelphia Warriors, pulled down 55 rebounds against the Boston Celtics. To put this into perspective, the Philadelphia 76ers are currently leading the league in rebounds per game at 49.1 per game. That’s roughly six fewer rebounds per game than Chamberlain’s record. That means that teams aren’t even reaching 55 rebounds a game, let alone a single player. If one were to give that stat as the only argument as to why this record is unbreakable, there wouldn’t be any objections. Yet there’s even more to stop the cause. As most fans know, the NBA has become a shooters league. That means teams are employing as many as five shooters on the court at all times, pulling the opposing big man away from the basket in order to free up the paint. And when more three’s are shot, that equates to longer rebounds to chase down, only adding to the energy needed to break the record. This is also assuming that 55 rebounds are available to get. NBA teams are scoring at a higher clip than ever, which means less available rebounds. All these things don’t put any player in a position to succeed if they want to break what is already a difficult record, which should allow the record itself to last as long as the world does. This one should be fairly obvious. Teams are scoring way more points than they ever have. Gone are the 67-60 final scores. That’s a halftime score now. The Rockets recently put up 90 points in a half against the Phoenix Suns, and the Warriors seem to be dropping 120 plus on everybody. It seems highly unlikely that with the skills that NBA players have today, along with the sheer volume in which the three-pointer is being used, that a team is going to break the record for scoring the fewest amount of points in X amount of time. These players are just too good for that to happen. During the 2000-2001 season, Rasheed Wallace racked up 41 technical fouls, which equals out to one technical foul every other game. He was also ejected 18 times that season. Some of those probably go hand in hand. The NBA allows for 16 technical before a one-game suspension and every other tech after warrants another one-game suspension. This rule was not in place when Wallace got this record, which is probably why he felt a certain level of freedom when arguing certain calls. With this rule in place, players are much more careful with what they say to the referees. They don’t want to get the fine that comes with the technical, nor do they want the possibility of missing out on games. Couple that with the fact that we’ll probably never see a player as energetic, to put it lightly, as Wallace, and his record should be etched in stone.